Obviously I can't wait to see it!! I'm not even joking, I'm doing the same thing after my wedding! I'm so excited to get a LOB! I might even do it before... shhhhh! We're always on the same page lady! I am not engaged, nor do I expect to be anytime soon but I still have that "I should probably keep it long for...." feeling. But you know what? I haven't tried that lace braid hairstyle I have been saying I'm keeping it for, or any of the other hairstyles, and all of those formal events I go to where I'd have more styling options do not exist. I had the same conversation with my hair stylist the last time I was in. Now I'm just waiting for a reasonable amount of time to pass to go back and get the bob so I don't feel like I'm wasting money. I am currently going through the same struggle! I've had short hair in the past and I remember all too well how easy and effortless it was! It's so tempting! Cute hair inspiration. I'm growing my hair from a pixie (still, even after two years) and these styles are about where I'm at now. For once, I don't want to chop it again! Ugh I battle with this feeling all the time. For me, my long hair is easier to manage than the short lob. 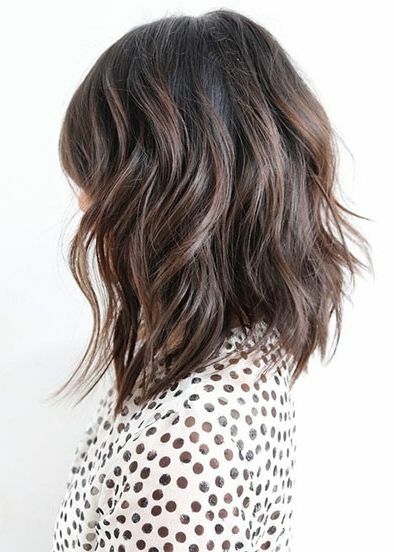 I have super thin hair and it just doesn't look the same as the voluminous wavy lob! I love this on other people but every time I cut my hair off I want my long hair back. It is like a part of my identity.